Being bilingual is a valuable skill for our kids. It gives them an understanding of the world around them, improves their knowledge of their native tongue, and makes them more of an asset in the workforce in the future. I have taught Spanish for over twenty years and have found that parents play a key role in language acquisition for their kids whether it is a first or second language. 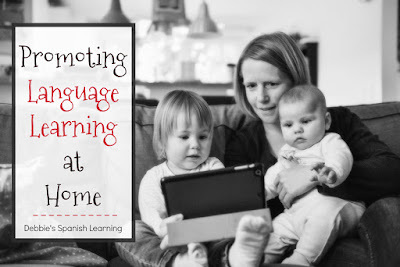 Parents can add a second language into daily family life to encourage learning. Many times parents are at a loss on how to do this. The task seems overwhelming. So here are some ways you can promote a second language in your home. There are activities for all language level abilities of parents and for all ages of kids. Common Commands- Using simple everyday commands when appropriate can build a child's vocabulary. Whether a child is getting dressed, helping in the kitchen, or getting ready to leave the house parents can add a few simple commands to their routines in the target language. Here is a set of commands in Spanish. Or how about your child giving commands to a pet? Here are some simple commands for dogs in Spanish...The graphic is pretty small, but if you copy it, enlarge, and then print it, it should work. 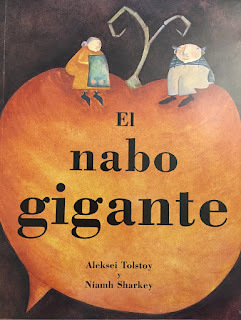 Reading Books-If your kids are young enough and you feel reasonably confident in reading to them in the target language, there are tons of books out there for kids in other languages. Reading stories to kids helps improve their vocabulary and allows them more opportunities to hear the flow of the language. 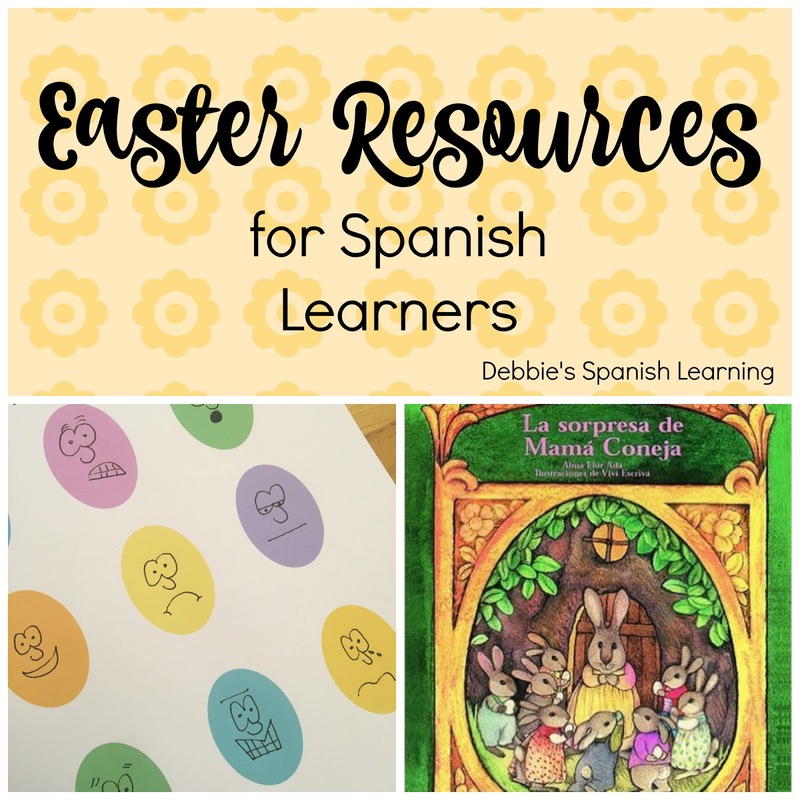 If you are uncomfortable reading the target language, check online resources where the stories are already read aloud for you. Bananagrams and More...-I love pulling out Bananagrams and playing "Beat the Teacher" with my students, but you can play "Beat the Parents". 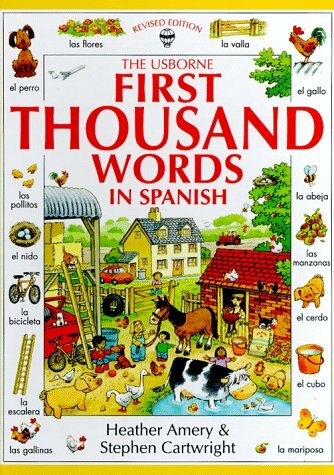 Basically, you set a timer for a couple of minutes and with all the tiles face up your child(ren) try to create more words in the target language than you can. Sometimes it helps to have a list of vocabulary words to work off of (like clothing or body parts). KLOO- This game, which comes in Spanish, French, or Italian, is great for older kids or high schoolers. Your kids should have a basic understanding of the sound system so they can read the cards outloud. Also, some basic vocabulary under their belt helps, too. 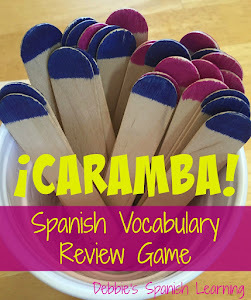 These games are awesome as they are self-teaching...everyone learns vocabulary the more you play! You can check out these games here. Post it-If your children are at the age where they can read then using Sticky Notes to label the things in your house in the target language may be a fun way to increase their exposure to vocabulary. You can label furniture, rooms, even the food in your fridge or cupboards! Sure it might look a little strange when company comes over, but it sure will be a topic of conversation. When the stickies are up you can call out items and see if your child can find them in the house. Also, just the fact that they are seeing the words day in and day out will help them internalize them. Picture Dictionaries-Language picture dictionaries have lots of opportunity for language learning. 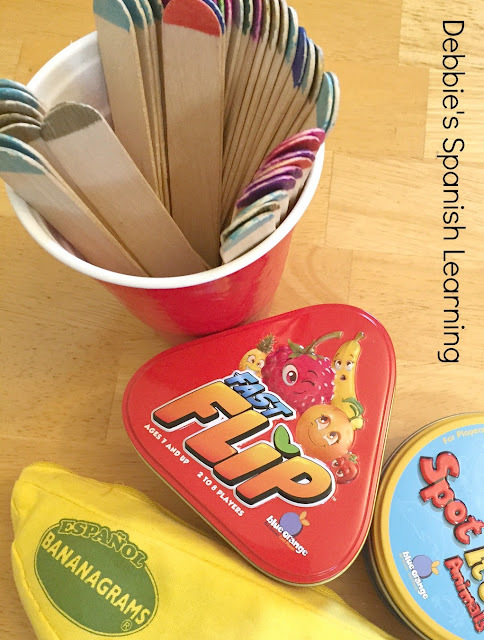 Here is a post with tons of ideas on how to use them with kids. Hang up the Humor-I put up comics for my students to see in Spanish. They normally are motivated to figure out the punch line or source of humor even though it is in another language. If you are doing Spanish in your home, here is my Pinterest board with tons of easy humor for language learners. Having some of these up around the house and changing them from time to time adds to more learning. Finally, I found this graphic from Spanish Playground with helpful ideas to support your child as he/she learns the language. 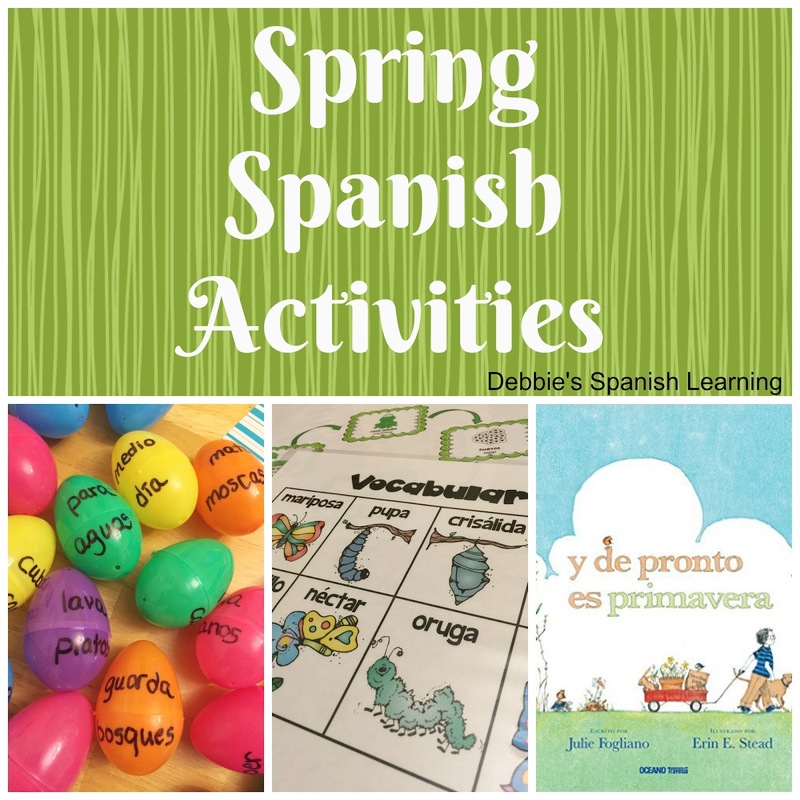 Here are several resources you can use during the Spring months as you teach Spanish...books, learning activities, and so much more! Happy Spring! 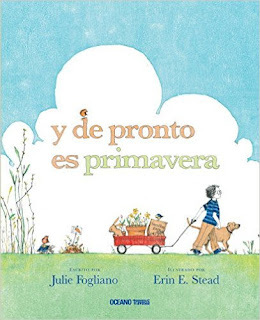 Spring Books in Spanish- Here's a list of great books to read during the spring months. 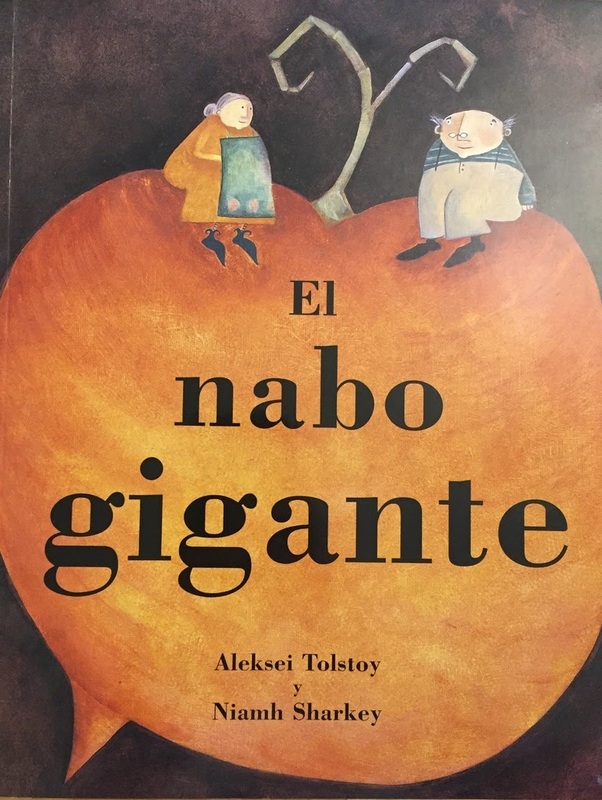 El Nabo Gigante spans not only the spring, but into the fall harvest time. This post has learning activities to go along with the book. 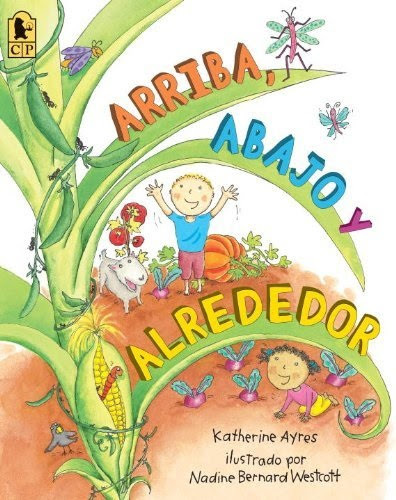 Arriba, Abajo, y Alrededor is a great gardening book in which you can focus on prepositions and words for vegetables. Y De Pronto es Primavera- A sweet story of how spring can surprise us! 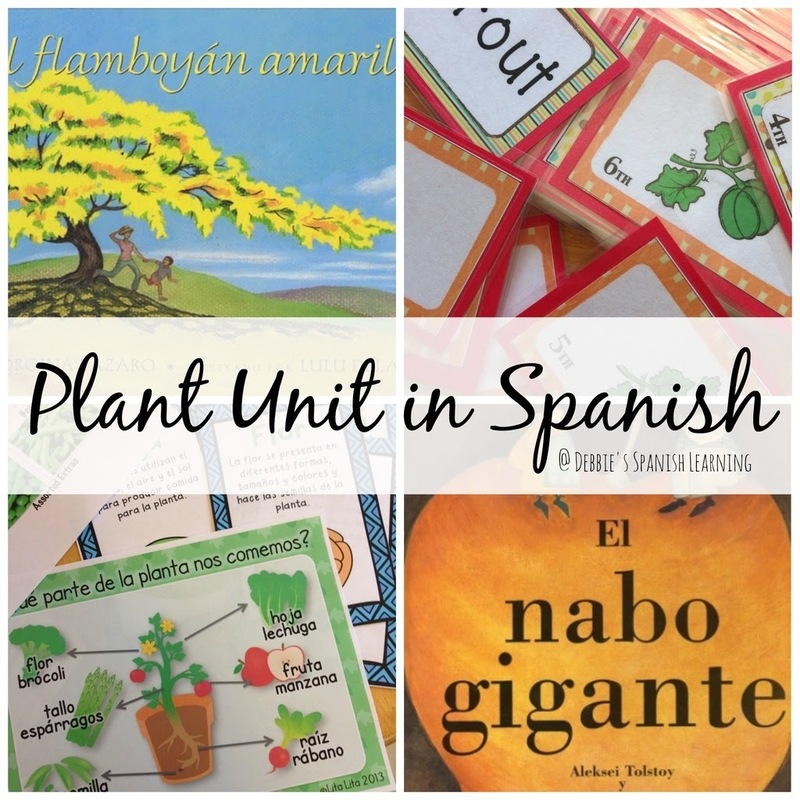 Plant Unit- I have created a plant unit that you could use during the spring months. 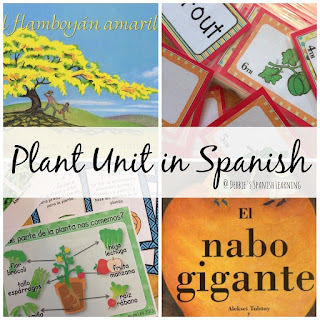 Lots of vocabulary related to plant parts and types of veggies in this post! 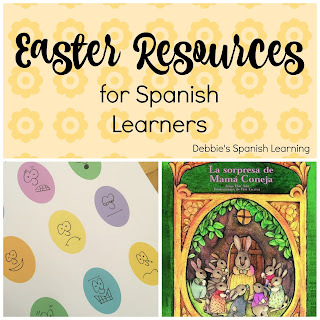 Easter Resources- Here you can find some books, "emotion eggs", and other activities to do close to Easter. 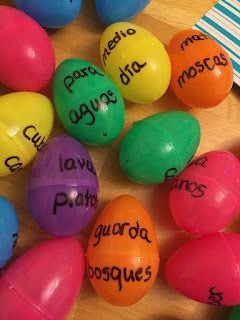 Compound Words with Eggs- Last year my younger students worked with compound words in Spanish. We used Easter eggs to review their vocabulary! I would love to hear what activities you do with your Spanish students during the spring months!